Former Miami WR coach George McDonald, who just left UM last month to take a job on Bret Bielema’s new Arkansas staff, is expected to become the new Syracuse’s offensive coordinator, a source told CBS Tuesday afternoon. The 36-year-old McDonald will join Scott Shafer who was promoted to head coach at Syracuse earlier this month, replacing Doug Marrone who left to become the head coach of the Buffalo Bills. McDonald has experience as an offensive coordinator from his time at Western Michigan in 2005-06. Shafer was also on the WMU staff at that time. Which Syracuse seniors will be drafted? 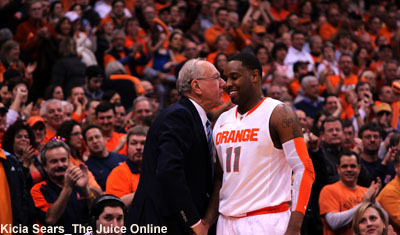 How can Syracuse overcome loss of James Southerland? 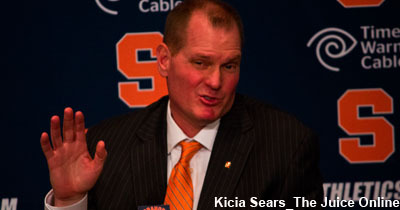 What are Jim Boeheim’s biggest worries this season? 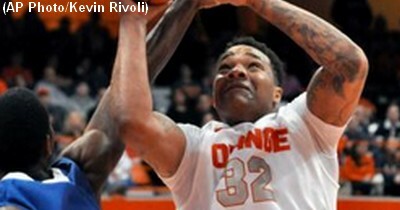 Will Syracuse C DaJuan Coleman improve by season’s end?